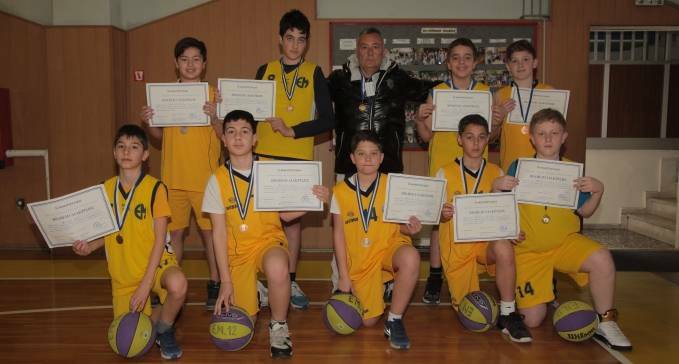 Basketball games for elementary school students, organized by the Physical Education Direction and the Eastern Thessaloniki organizing committee of school games, took place on Thursday, March 2, 2017 at the indoor gym of the municipality of Kalamaria. Nine students of our school took part. The boys’ team won first place in their group. Congratulations to the participants: Ph. Kinalis, D. Kyvirtzikis, N. Kamalakidis, K. Konstantinidis, S. Vasileiadis, K. Sidiropoulos, K. Korkovelos, G. Asteriadis, E. Pantos.